For those of our followers who are motor cycle enthusiasts we haven't had anything lately so whilst not a British Motor Museum but as its holiday time some of you may be heading for Italy. The exhibition does concern a British rider, Mike Hailwood. The Ducati Museum, Bologna, renewed in 2016 to mark the company's 90th anniversary, will be hosting its first temporary exhibition until 15 September 2018. “The Desmo Twins of young Hailwood” is only the first of many themed exhibitions that the Ducati Museum will organize within its showrooms. The exhibition brings together three race bikes built between 1958 and 1960 by the unforgettable Fabio Taglioni. In part, these represent the early career of one of the world's most famous riders: Mike Hailwood. The Desmo Twin 125, 250 and 350 cc represent a period of fervid creativity by the Romagna-born engineer. 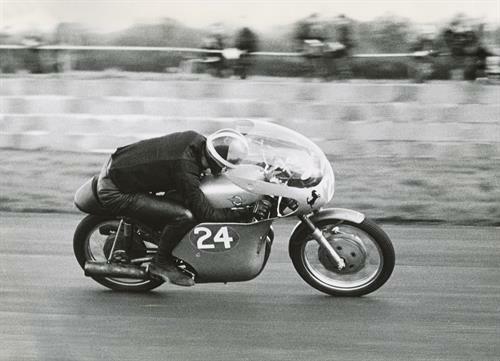 Built at the specific request of Mike's father, they would go on to give the popular rider his first victories. 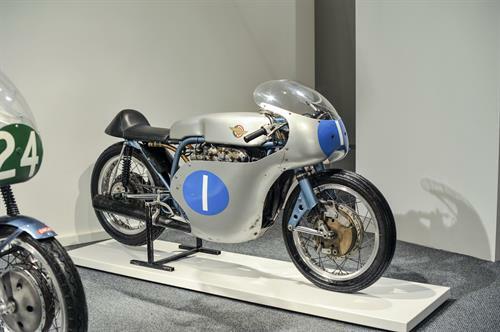 Now, almost sixty years later, these ultra-rare bikes have finally been reunited in an exhibition that is an integral part of the 40th anniversary celebrations of "Mike the Bike's" win at the 1978 Tourist Trophy.